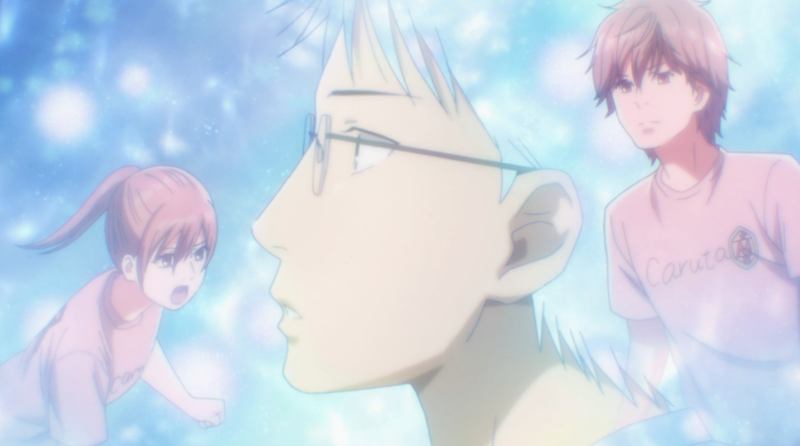 Recap: The intense match between Chihaya and Megumu comes to a close. While everyone is focused on this clash of giants, this is still a team match, and all of Team Mizusawa is going to have to come together if they want to go on to the finals. Well, I’d love to just go and say “I told you so.” but the kinds of things I predicted have been staples of the sports show genre forever so I’ll save you some time and just assume you watched the episode. I really do hope this isn’t some kind of slump Nishida’s going to go into forever though. He was the driver that got Taichi to work as hard as he did in his struggles to reach Class A. I’m hoping our team does the smart thing and tries to play him against a weaker opponent for the next round. He really needs at least one more win, lord knows he’s not going far in the individual tournament. It may have taken us a while to get to the end, but I really enjoyed this matchup between Megumu and Chihaya. While it was hard to see her lose again to a tough opponent, you can even appreciate these losses for showing how far Chihaya has come, and how close she is to really rivaling Shinobu. All I can say is, after seeing what kind of competition is in Class A this year, the individual tournament should be a blast. I think its no secret that I’m a fan of the quiet Komano. The guy is all kinds of brilliant and I’m really glad to see him rake in a win for Mizusawa. Still, because of that I’m somewhat disappointed his win comes down to superstition. I would have accepted he was just gambling, but that he legitimately thought there was a statistical chance of success really kind of takes away from his tactical gameplay style. 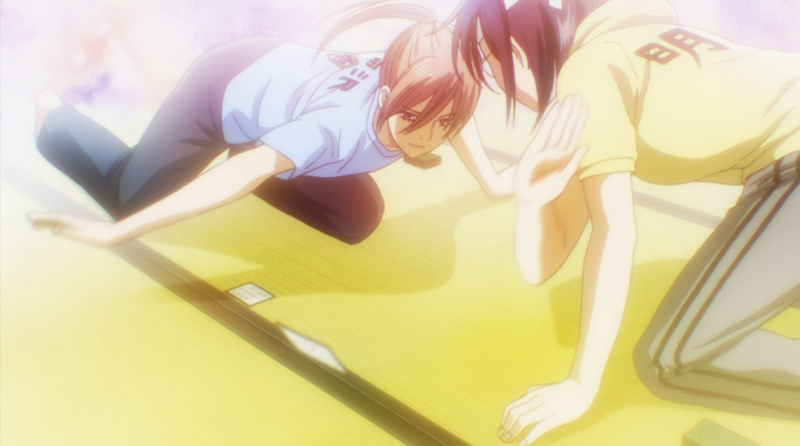 With Hokuo going down 4-1, I don’t have very high hopes for Mizusawa being able to steal the title from Fujisaki. This show has proved our team way too vulnerable, and with Tsukuba now in the rotation it’s like automatically playing a game down. I’ll still be excited to see who Chihaya goes up against next, and even getting this far is a huge accomplishment for the team. They should be proud. I prefer not to try to base it on other sports anime. Predicting victories through the tried-and-true trope of adversity to success really ruins the experience. That said this is still one brilliant episode. If you are interested in how real karuta players move without smacking each other in the head, look no further than the 57th Queen tournament on NicoNico. i am hoping that mizusawa wins. one fact i do know, chihaya will be playing against the girl from fujisaki who was sitting by the sidelines with the fujisaki coach. Just watched the newest episode. I guess you could tell that from all the looks towards the crowd, I really should have been paying more attention to that. 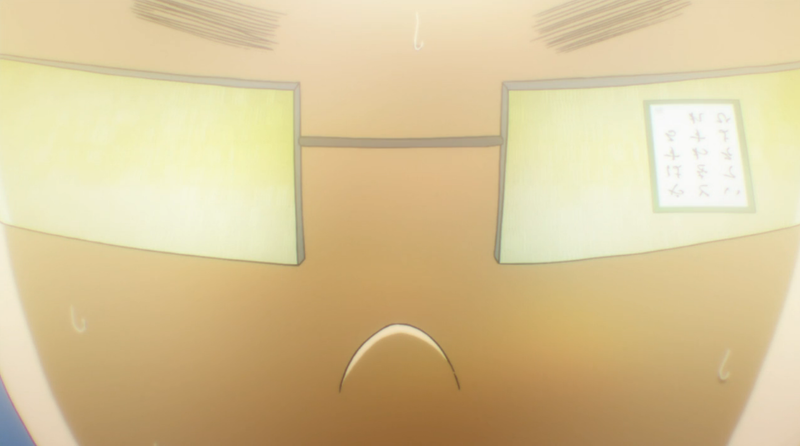 Even though there was no karuta in the new episode, I wasn’t as disappointed this time.